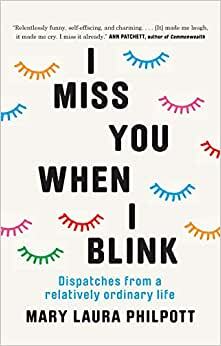 Spot-on observations about domestic, professional, and creative life, taking on the conflicting pressures of modern womanhood with humour and thoughtful contemplation, from an author who is connected to highly influential writers like Elizabeth Gilbert and Ann Patchett. In this memoir-in-essays full of spot-on observations about home, work, and creative life, Philpott takes on the conflicting pressures of modern womanhood with wit and heart. She offers up her own stories to show that identity crises don't happen just once or only at midlife; reassures us that small, recurring personal re-inventions are both normal and necessary; and advises that if you're going to faint, you should get low to the ground first. Most of all, Philpott shows that when you stop feeling satisfied with your life, you don't have to burn it all down and set off on a transcontinental hike (unless you want to, of course). You can call upon your many selves to figure out who you are, who you're not, and where you belong. Who among us isn't trying to do that?